Your quest for more light and openness might lead you to removing a wall (or several). Before you start swinging the sledge, make sure you understand what you're getting into. You live in an older house populated by a warren of small, cozy rooms. Lately, you’ve been thinking of knocking down a wall or two to open up space and bring in more light. 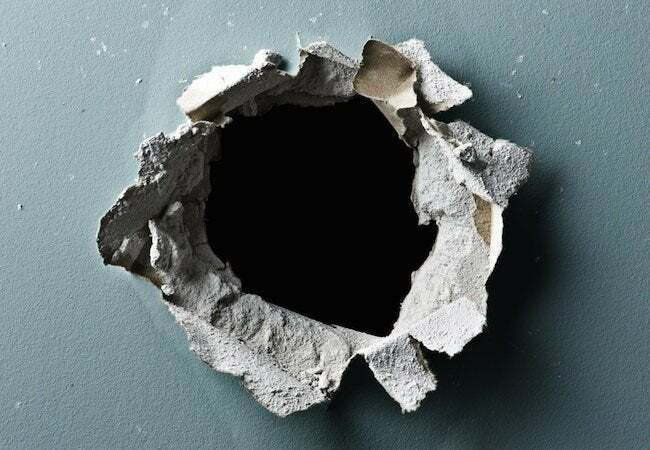 While it’s true that removing a wall can help accomplish that aim, there are several important factors to consider before taking your plans any further. First things first. Before you plow ahead, you must determine whether or not the wall in question is load-bearing. In other words, is it keeping the house standing? Here’s a quick way to find out: Inspect the floor joists beneath. If the joists run perpendicular to the wall, chances are it’s a load-bearing wall. 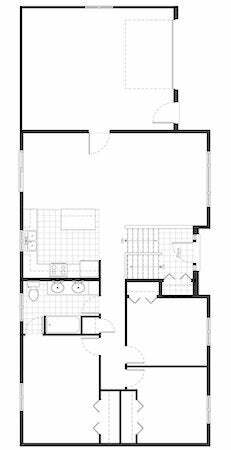 That’s not to say that your dreams of an open floor plan are outside the realm of possibility. It only means that you must consult a professional—a reliable contractor or engineer—to help you devise a strategy for removing the wall that will not compromise your home’s overall structural integrity. In general, though, removing a non-bearing wall is a much more modest proposition. OK, so it’s not holding the house up. That’s good. But what else is the wall doing? Is it hiding wires, gas lines, or heating ducts? If you jump the gun and saw right into plumbing, electrical, or HVAC work, you may suddenly find yourself dealing with a much more complicated (and expensive) job. Before you start demolition, be certain that you know exactly what you’re dealing with. Not sure? Look closely at your building plans or call in a contractor. It’s certainly possible to remove a non-bearing wall no matter what it contains, but a professional can help you figure out how to reroute those components without causing any lasting disruption to the normal operation of your house. No matter how you slice it, the job of removing a wall is a messy one. Be prepared for dust, and lots of it. Because that dust can do nothing but harm to your belongings, be sure to partition off the work area, using tape and plastic sheeting. Move everything you want to protect beyond the partition, and then cover it carefully; it’s amazing how much of that fine dust can make it past even a conscientiously devised and well-executed partition. Was your house built before the 1980s? If so, lead may be present in old layers of paint on the wall you’re removing. Hiring a professional inspector can be pricey, so check into some of the test kits readily available at home centers. The results are generally reliable, especially if you cross-test with a couple of kits that use different methods of detection. If you discover that lead is indeed present, follow the EPA guidelines for proper disposal. Before you or a contractor you’ve hired actually picks up a saw or sledgehammer, be sure that you’ve secured all the necessary permits. Some municipalities charge stiff fines for undertaking projects without proper permitting. All those considerations aside, there’s no doubt that removing a wall can dramatically transform the look of an interior. It can be a big job, but if you’ve done your homework, you’ll efforts will probably be well worth the result.